Wanna live a longtime? Drink Diet Coke! 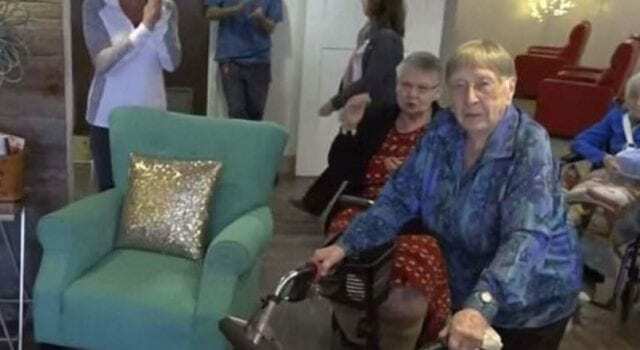 A woman who has made it to the age of 104 swears that the secret to longevity is drinking Diet Coke every day. Theresa Rowley, from Grand Rapids, Michigan, celebrated her birthday with a cake on January 1. The care home resident has revealed she consumes at least one can of the soda a day. Diet Coke was launched in the US in 1982 – when Illinois-born Ms Rowley would have been 68. But scientists would disagree that the beverage had helped give her another 36 years of life – diet soda has repeatedly been linked to obesity, diabetes, stroke and dementia in studies. The study of almost 4,400 adults by Boston University in April this year also suggests diet drinks are more likely to cause strokes and dementia than those full of sugar. There was no link between sugary beverages and either of the illnesses – although the researchers aren’t encouraging us to drink them either. The team believe the artificial sweeteners including aspartame and saccharine maybe affecting the blood vessels, eventually triggering strokes and dementia. Previous articleAbortion to extend to 2 years old? Next articleWho did Obama work for?